Here I am watching a Poll site in Flushing, a few hours before John Liu would become Comptroller of the City of New York. I stand by my guy. Let me tell you a thing or two about John Liu. He is the American dream incarnate. Liu is an effective legislator. During his tenure as Council Member, he would travel everywhere. I live in Auburndale which is part of greater Flushing and outside his old Council District, but that did not stop him from being everywhere and helping everyone. His staff is fast and responsive and they tend to stick around. He is a Queens man at heart, he went to Bronx High School of Science and graduated Suny Binghampton with a B.A in Mathematical Physics, whatever that is. He’s not blue blood. I used to see him on the 7 train headed to City Hall. I’m sure deep down inside that he feels most comfortable here. It would be nice to have a guy like this as Mayor. Really, it’s true. Take a look at my new street light. Take a look at my new stop signs by my house. It’s all thanks to John Liu. As Comptroller, Liu’s audits have recovered millions of dollars while saving 700,000 individual pension benefits. He’s also an advocate of LGBT rights. Many of his accomplishments tend to go under the radar, that’s because the nature of his position as Chief Financial officer. He’s a number cruncher that works on behalf of tax payers – to make sure we get the most out of our buck. Liu has the responsibility for auditing city agencies, city contracts, and advising the mayor and city council about the city’s financial situation. For a full list of his legislative accomplishments click here. I live across the street from a car lot. Sometimes they get neglected. Sometimes they become a dump. With one phone call, John Liu tracked down the owner and had the entire place cleaned up. 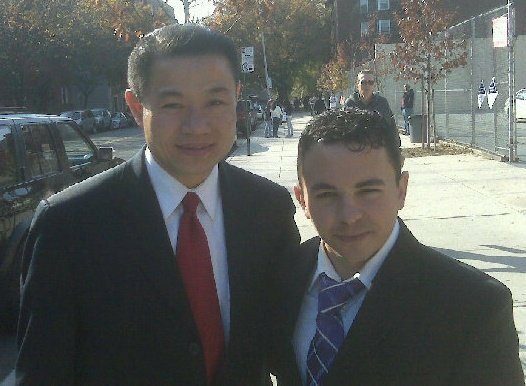 When John Liu ran his campaign – I volunteered on it – he tapped immigrant communities yearning for a voice in government. They helped him win the election. If you don’t know the neighborhood, then you don’t know the neighborhood. I think it will blow over soon and we’ll be calling him Mayor, especially if I have anything to do with it. 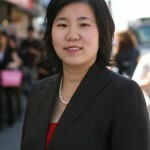 John C. Liu is the 43rd Comptroller of the City of New York, the first asian-american to hold a city-wide office, independently elected and sworn into office on January 1st 2010. Queens GOP Spokesman Robert Hornak interviews with Queens-Politics. The Queens GOP is locking horns with what I call, the Southern Insurrection. It’s all over the news and political insiders are getting giddy. While the the criminal trial of political operative John Haggerty is underway, a renewed battle is now being fought again for control of a party once thought to be insolvent. Q. Robert, why is Tom Ognibene attempting to usurp the GOP party? A. That’s a really good question, Adam. Ognibene has been in political limbo since he was term-limited out of the City Council and named as an “unindicted co-conspirator” in a 2001, case involving bribe-taking and building-code inspectors. “The GOP went with Bloomberg and Tom got very angry,” said Hornak, adding “Ognibene once called the Hagggertys ‘poison in the well’, now he [Ognibene] is anti-Ragusa.” According to Hornak, the reasons for this alliance are not confirmed. “No one can explain why,” he said. Q. 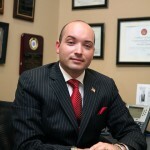 So, What makes Ragusa the better choice for the Queens GOP? A. “Where do I start?” asked Hornak, rhetorically. “Ragusa energized the party, and continues to do so. he recruited young people with skill sets to run with the ball,” said Hornak and he [Ragusa] is open to new ideas like harnessing digital communication technology to bring the party up-to-date with new voters. Q. 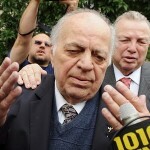 Sounds packaged, tell the readers of Queens-Politics more about him. Hornak claimed Ragusa has been growing the party and reaching out to immigrant communities. “We’ve found a lot of new immigrant communities that lean conservative and we’ve reached out to them with success.“Phil has worked tirelessly on this,” said Hornak. In terms of political success, Ragusa was instrumental in electing Halloran, Koo, fund-raising, and now he’s working on judgeships, according to Hornak. Q. So, You guys were instrumental in electing City Council Member Eric Ulrich, why is Eric going off the reservation with his endorsement for Tom Ognibene? A. “He’s off the reservation completely…Eric is somewhat immature and short-sighted for an elected official. It’s probably to feed his ego and personal aspirations.” Hornak added that while Ulrich interjected himself into party politics, he has neglected the community he was elected to serve. Q. What is your prediction regarding the judge’s decision? Q. I know similar events happened two years ago, are we to expect this every time the County Chair is up for grabs? Q. What message would you like to send to the Haggerty brothers, Tom Ognibene, and Eric Ulrich?